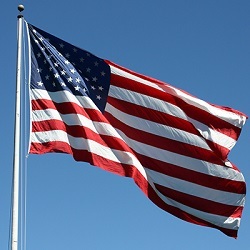 Timmy Lee Malone age 60, of Wickes, Arkansas passed away Wednesday, February 27, 2019 in Wickes, Arkansas. Timmy was born on November 27, 1958 in San Jose, California to the late Harley M. Malone and the late Sylvia Marie Davis Malone. He proudly served his country in the United States Navy and was on the Seal 2 team in the Iran Hostage Conflict. He was very dedicated in training other Navy Seals. Timmy enjoyed being outdoors hunting, fishing, spending time with family, friends, and grandkids. He was a caring, thoughtful and loving person, who enjoyed helping anyone in need. Above all he loved his family. He was a gentle, helpful and loving father, brother, step-father, step-grandfather and friend to all. Step-grandchildren: Theodore McIntosh, Alexis Lindsey, Autumn Lindsey, Alivia Huffman, and Logan Huffman. He was preceded in death by his parents, a brother Roy Malone, and grandparents Etta Malone and George Malone. Mr. Malone was sent for cremation under the direction of the Beasley Wood Funeral Home of Mena. Memorial will be planned at a later date. To send flowers or a memorial gift to the family of Timmy Lee Malone please visit our Sympathy Store. 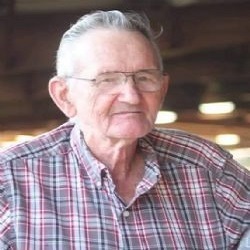 Virgil Morrow, age 81, of Hatfield, Arkansas died Sunday, February 24, 2019 at his home. He was born on Thursday, May 13, 1937 to Andy and Viola Lescoe Morrow in Tellico Plains, Tennessee. Virgil was a charter member of the Seventh-Day Adventist Church in Waldron and served many years in different churches wherever he and his family have lived. He was always a just and honest person throughout his life. Virgil also served in the United States Army and was honorably discharged. He went on to work in landscaping for over fifty years and his passion was organic gardening. Virgil was a loving husband, brother, grandfather, uncle and a great friend and will be missed by all who knew him. He is preceded in death by his parents; two brothers, Beacher Morrow and Jack Morrow and two sisters, Janey Jones and Barbara Morrow. Virgil is survived by his wife of 62 years, Barbara Morrow of Hatfield; his son, Jeffery Morrow of New Hampshire; his sister, Evelyn Brown of Montana and one grandchild, Taylor Morrow of Oregon; several nieces and nephews and a host of other relatives and friends. A memorial service will be held Saturday, March 9, 2019 at 5:00 P.M. at the Waldron Seventh-Day Adventist Church with Anthony Czaja and Kevin Byrns officiating. 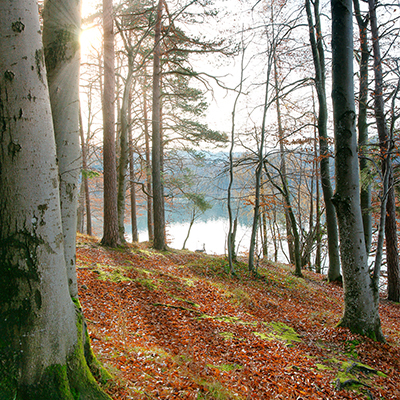 Cremation services are entrusted to Bowser Family Funeral Home in Mena, Arkansas. Ernestine Evans Grunwald, 96, of Pine Ridge, Arkansas passed away peacefully at home with her family at her bedside, on February 26, 2019. She was born Audrey Ernestine Evans in Beaumont, Texas on November 22, 1922, to Audrey Doucette Evans and Benjamin Franklin Evans. She lived her young life in Beaumont, graduated from Beaumont High School, then moved to the Shreveport, Louisiana area where she attended business school and met the love of her life, Robert Alfred Grunwald. They were married on October 16, 1940 and were together until his passing in 2002. She worked for 26 years in Shreveport as legal secretary and office manager for attorney G. M. Bodenheimer, until her husband Bob was transferred to Houston, where they lived for several years until his retirement. They bought a motorhome and moved first to Gainesville, Florida, Murfreesboro and then Cookeville, Tennessee, and finally to Hot Springs, Arkansas due to failing health and to be nearer their daughter. They loved to travel and went on several wonderful trips, covering most of the continental U.S. and a little bit of Canada. They enjoyed gardening and home improvement projects and remodeled with their own hands every home they ever bought. In 1952 they bought a small wooded piece of land (“the camp’) on the Ouachita River near Pine Ridge, and gradually they cleared a homesite and built a small cabin that grew to what was to be their retirement home, but failing health forced them to sell it. Before they did, though, they spent most weekends and every vacation working on the place, enjoying the river, fishing, swimming and just generally puttering and relaxing. Ernestine loved sitting on a ledge on the riverbank waiting for the fish to bite and hauling rocks to line walkways and flower beds. Wherever they lived, they enjoyed entertaining and the company of friends, and Ernestine loved to cook. After Bob’s death in 2002 she moved in with her daughter, Martha Koelemay, who had bought back “the camp” and was in the process of rebuilding. As Ernestine’s health declined, so did her activities, and she spent her last years quietly at the place she and Bob had loved so very much. She was predeceased by her parents; her husband; an infant daughter, Judith Gayle Grunwald; her sister, Ouida Evans Haddad of Shreveport; her brother, Robert F. Evans of Shreveport. She is survived by her daughter, Martha Koelemay of Pine Ridge; two granddaughters, Laura Giles Alexander and Debra Giles Meeks, both of Pine Ridge; four great-grandchildren, Branson Byers of Sarepta, Louisiana; Lyndi Everitt of Mena, Arkansas; Mark and Robbie Oliver of Pine Ridge; a great-great-grandson, Evan Milliken of Shreveport, and a soon-to-arrive great-great-granddaughter, Alina Vada Byers of Sarepta, Louisiana. Ernestine lived an active and full life as long as she could, and once she was bedridden, she enjoyed watching old Westerns on TV. The family is very grateful to the home health and hospice care which made it possible for her to remain at home as her health declined. Visitation will be at Beasley-Wood Funeral Home from 5-7 p.m. on Thursday, March 7, 2019. There will be a memorial service later in the spring at the church she and Bob helped to found, Christ Church at Monteagle, Tennessee. Memorial donations may be made to the church, to the American Heart Association, Ouachita Artists Gallery & Studio, and Warm Hearts Humane Society of Montgomery County. Arrangements were made under the direction of the Beasley-Wood Funeral Home of Mena. 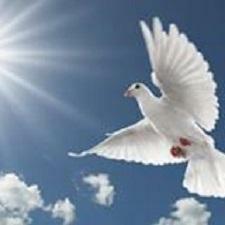 To send flowers or a memorial gift to the family of Ernestine Evans Grunwald please visit our Sympathy Store. 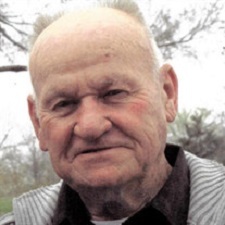 Bobby Paul Ford age 79 of Mena, Arkansas passed away Thursday, February 28, 2019 in Mount Ida, Arkansas. Bobby was born on July 20, 1939 in Cove, Arkansas to the late Paul Ford and the late May Wilson Ford. He proudly served his country in the United States Navy. Bobby was married to Carolyn Jean Ford. He enjoyed fishing and being outside with family and friends. Bobby was always staying busy doing things he enjoyed. He was a loving and dedicated husband, father, grandfather, great grandfather, uncle and friend to all who knew him. He will be dearly missed. Nephew: David Ford and wife Michelle and son Case Ford of Conway, Arkansas. He was preceded in death by his parents, brothers, Gene Ford and Charles Ford, and a great-niece Katie Ford. Graveside service with Military Honors will be at a later date in Pinecrest Memorial Park under the direction of the Beasley Wood Funeral Home of Mena. To send flowers or a memorial gift to the family of Bobby Paul Ford please visit our Sympathy Store. Lydia Jill Combs age 72 of Mena, Arkansas passed away Tuesday, February 19, 2019 in Hot Springs, Arkansas. Jill was born on November 17, 1946 in Washington, D.C. to the late John P. Keppler and the late Margie M. Hill-Keppler. She worked as a secretary in law and also a child support enforcement officer. She enjoyed many hobbies such as quilting, baking, and was very competitive in board games. Jill was very informed with politics. She was an active member of the Red Hat Hotties Club. Jill had a servant’s heart and enjoyed volunteering to help others and was involved in her church reading devotionals on radio. She was a role model for her family and will be missed by all. Nieces: Romie Asplen, Christine Hett, Laurie Whiston and Abby Norris. She was preceded in death by her parents, her husband Don Combs, and son Scott Combs. Mrs. Combs was sent for cremation under the direction of Beasley Wood Funeral Home of Mena. Memorials may be made to Christ Episcopal Church, 803 Church Street, Mena, Arkansas, 71953. To send flowers or a memorial gift to the family of Mrs. Lydia Jill Combs please visit our Sympathy Store. Randall “Randy” Keith Cook, age 61, of Mena, Arkansas passed away Tuesday, February 26, 2019 in his home. He was born August 16, 1957 in Mena, Arkansas to the late Garland Luther Cook and the late Billie Jean Allen Cook. He owned and operated Randall’s Grocery in Cove for several years and then owned and operated Randall’s Chainsaw Sales and Service in Mena for the last 20 years. He was a people person and a faithful Christian. He was a loving nephew, brother-in-law, cousin and friend to all who knew him. And a host of cousins and friends, including his special friend and “partner in crime”, Gerry Rose of Cove, Arkansas. He was preceded in death by his parents, Garland and Billie Jean Cook, and a sister, Sandra Gadsberry. Funeral services will be Saturday, March 2, 2019 at 10:00 a.m. at the Pleasant Grove Church of the Nazarene in Cove with Brother Donnie Jewell officiating. Interment will follow in the Pleasant Grove Cemetery in Cove, Arkansas under the direction of the Beasley-Wood Funeral Home. Pallbearers will be Jimmie Jewell, Donnie Jewell, Chris Midolo, Richard Peck, Don Stevens, and Allen Starr. Honorary pallbearers are Gerry Rose, Jeff Brewer, and Greg Brewer. To send flowers or a memorial gift to the family of Mr. Randall Keith Cook please visit our Sympathy Store. 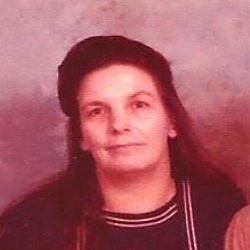 Anita Kay Mullins, age 57, of Mena, Arkansas died Monday, February 11, 2019 at her home. She was born on Monday, April 3, 1961 to Jimmy Russell and Nelly Linsey Henderson in Texarkana, Texas. Anita was a loving mother, grandmother, sister, aunt and a great friend and will be missed by all who knew her. She is preceded in death by her parents; one son; two grandchildren; four brothers; and two sisters. Anita is survived by one daughter, Jessica Berry of Malvern; two sisters; four brothers; two granddaughters; and four sisters in law; several nieces and nephews and a host of other relatives and friends. 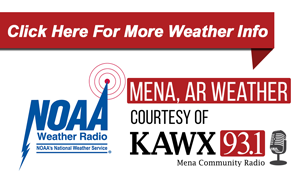 Memorial cards and correspondence can be sent to 3650 Highway 88 E, Mena, AR 71953. A memorial service will be held on Friday, February 22, 2019 at 1:00 p.m. at the Rock Creek Baptist Church in New Boston, Texas. Cremation arrangements are entrusted to Bowser Family Funeral Home in Mena, Arkansas. Larry Gene Manasco, age 67, and his loving wife of 45 years, Cloma Sue Manasco, age 66, passed away Monday, February 18, 2019 at their home. Larry was born on Tuesday, October 9, 1951 to Dewel Lowell and Lula Youmans Manasco in Mena, Arkansas and Cloma Sue was born on Wednesday, January 21, 1953 to Robert Lee and Rodena Hicks Bailey in Mena, Arkansas. Larry and Cloma Sue attended Pleasant Grove Nazarene Church in Cove for many years. Larry was a logger for forty years and took pride in providing for his family. Larry was known for his special tacos and Cloma Sue for her fried potatoes and their freezer was always stocked with popsicles for their nieces and nephews. Family guided both their lives and they could always count on each other. They enjoyed every moment spent with their beloved nieces and nephews. Larry and Cloma Sue were loving family members and friends and will be missed by all who knew them. They are preceded in death by their parents; one son, Travis Manasco; and one daughter, Christy Manasco. Larry is also preceded in death by one sister, Katie Miller; and Cloma Sue is preceded by two brothers, Troy Bailey, and Kenneth Bailey. Larry is survived by two sisters, Barbara Miller of Hatfield, and Mary Shreve of Watson, Oklahoma. Cloma Sue is survived by one brother, Charles Bailey of Cove; and they are both survived by several nieces and nephews and a host of other relatives and friends. A graveside service will be held Wednesday, February 20, 2019 at 2:00 p.m. at the Pleasant Grove Cemetery in Cove, Arkansas, with Brother Ron Ladd officiating. Arrangements are entrusted to Bowser Family Funeral Home in Mena, Arkansas. Pallbearers will be their nephews. 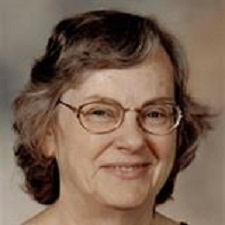 Margie Tolleson, age 79, of Mena, Arkansas, died, Monday, February 18, 2019 at the Select Specialty Hospital in Fort Smith. She was born on Saturday, July 15, 1939 to Clarence Richard and Ada Bel Willas Dunigan in Mena, Arkansas. Margie had many loves in her life; the love of God, family and others. She served her Lord many years as an ordained minister of the gospel. Margie loved spending time with her children and grandchildren. When Margie and her family ministered to those all over the country she enjoyed stopping at the lakes along the different routes and go camping with the family. Margie was a loving mother, grandmother, aunt, and friend and will be missed by all who knew her. She was preceded in death by her parents; her husband, Theodore Tolleson; two sons, Rodney and Wesley Tolleson; her daughter, Belinda, Tolleson; brother, Troy Dunigan; sister, Juanita Churchwell and her son in law, James Harmon. Margie is survived by her six sons, Steven Tolleson of Mena, Jerry Tolleson of Oklahoma City, Oklahoma, Eddie Tolleson of Bowlegs, Oklahoma, Arlie Tolleson of Waldron, Floyd Wilcox of Seminole, Oklahoma, and Danny Wilcox of Luther, Oklahoma; three daughters, Margie Harmon of Mena, Lawanda Tolleson of Shreveport, Louisiana and Lesley Wilcox of Luther, Oklahoma; two brothers, Jimmy Dunigan of Heavener, Oklahoma and Johnny Dunigan of Bristow, Oklahoma; two sisters, Wanda Robinson of Howe, Oklahoma and Ruthie Churchwell of Bowlegs, Oklahoma; numerous grandchildren, great grandchildren; several nieces and nephews and a host of other relatives and friends. Funeral services will be Saturday, February 23, 2019 at 2:00 P.M. at the Mena Church of God of Prophecy with Pastor Debbie Skaggs officiating. Interment will follow at the Gann Cemetery in Potter under the direction of Bowser Family Funeral Home in Mena, Arkansas. Visitation will be general. Christine Courtney Cooper, 51, went to be with the Lord Wednesday, February 13th, 2019 in Little Rock, Arkansas. Christine Cooper was born October 9th, 1967 in Cedar Rapids, Iowa. She graduated from Henderson State University in Arkadelphia, Arkansas and spent her life working in childcare services. She spent her spare time volunteering in animal shelters. She had a deep love for her family, friends, and her cats Russ and Felix. Nephew and nieces: Cole, Katie, Abby, and Sarah Cooper. Her memorial service will be held at 3:00 p.m. Sunday, February 24th, at Killen United Methodist Church in Killen, Alabama, where Brother Bryan McIntyre will officiate. Local arrangements under the direction of the Beasley Wood Funeral Home of Mena. In lieu of flowers, the family requests memorials be made to Florence-Lauderdale Animal Shelter, 702 E College St., Florence, AL 35630, or your local animal shelter. To send flowers or a memorial gift to the family of Christine Courtney Cooper please visit our Sympathy Store. 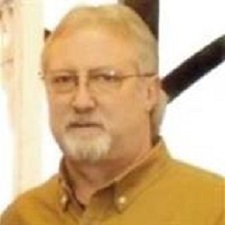 J. C. “Chris” Cameron age 62 of Texarkana, Texas passed away Sunday, February 17, 2019 in Mena, Arkansas. Chris was born on June 08, 1956 in Cushing, Oklahoma to Arch Cameron and Lorice Lackey Cameron. Chris proudly served his country in the United States Army. He was married to Sara Jean Meng Cameron and worked as a locomotive engineer as a profession. He enjoyed bird watching and “tinkering” with his 1974 pick-up truck. Chris also enjoyed masonry work. He will be missed for his role as a husband, father, brother, and friend. Sisters: Cindy Diane Cameron of Opal, Arkansas, Nancy Lee Cameron of Opal, Arkansas, and Robin Rosenthal of Bonners Ferry, Idaho. He was preceded in death by his parents, Arch and Lorice Cameron and a sister Toni Langley. Chris was sent for cremation under the direction of Beasley Wood Funeral Home of Mena. Memorial service will be at a later date. To send flowers or a memorial gift to the family of J.C. Chris Cameron please visit our Sympathy Store. 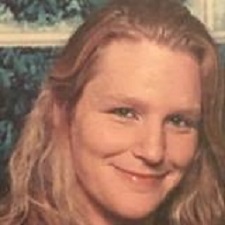 Mrs. July Ann Billings Grafton, age 43, of Mena, Arkansas passed away Friday, February 15, 2019 at Baptist Health Hospital in Ft. Smith, Arkansas. She was born on July 29, 1975 in Mena, Arkansas to the late Billy Dale Billings and Shirley Pointer Billings. She was married to Kirk Grafton and was a long time employee at Nidec. July was a hard worker and enjoyed life, especially her kids and her family. She was a hard worker but enjoyed her time outdoors in the sun and making her home a happy one. She is gone too soon and will be missed by her loving family and friends. She was preceded in death by her father, Billy Dale Billings, her grandfather, Bish Billings, a brother, D. Don Billings. July was sent for cremation under the direction of the Beasley Wood Funeral Home. A memorial service will be held Saturday, February 23, 2019 at 10:00 a.m. at the Beasley Wood Chapel. To send flowers or a memorial gift to the family of July Ann Billings Grafton please visit our Sympathy Store. Mrs. Dorothy Jean Toon, age 80, of Mena, Arkansas passed away Friday, February 15, 2019 at Mena Regional Health System. She was born February 5, 1939 in Guthrie, Oklahoma to the late Lyle Raymond Austin and the late Linda Amelia Backhaus Austin. She was married to the late Herschel William Toon and was a home health aide. Mrs. Toon was an avid reader, and a lover of all pets, especially her cats and dogs. But moreover she was a friend and a mother figure to all who knew her. She will be dearly missed. Her dear friend and neighbor, Janice Key of Mena, Arkansas, and a host of other relatives and friends too great to mention. She was preceded in death by her parents Lyle and Linda Austin, her husband, Herschel Toon, and a son, Daniel Elder. Mrs. Toon was sent for cremation under the direction of the Beasley Wood Funeral Home. A service will be held and announced at a later date. To send flowers or a memorial gift to the family of Mrs. Dorothy Jean Toon please visit our Sympathy Store. James W. Hudson age 72 of Mena, Arkansas passed away Friday, February 15, 2019 in Mena. James was born on January 25, 1947 in Henderson, Texas to the late Earl Dewayne Hudson and the late Vivian Lorene Williams Hudson. He proudly served his country in the United States Air Force. James and Becky were married for fifty-two wonderful years. James loved going on motorcycle rides on the backroads with wife Becky. James was a business owner of Records Storage, a document destruction. He was a loving husband, father, grandfather and brother to his family . He was preceded in death by his parents Earl and Lorene Hudson. Memorial service will be Sunday, February 17, 2019 at 3:00 p.m. at Beasley Wood Chapel. Arrangements are under the direction of the Beasley Wood Funeral Home of Mena. To send flowers or a memorial gift to the family of James W. Hudson please visit our Sympathy Store. 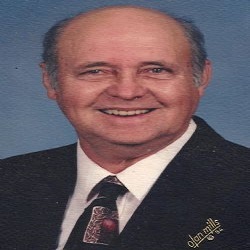 Asa "A.C." Clinton Billings Jr.
Mr. A.C. Billings, Jr. age 89, of Mena, Arkansas went to his Heavenly home on Wednesday, February 13, 2019. A.C. was born in Knott, Texas on December 14, 1929 to Asa Clinton Billings and Willie Mae Kitchens Billings. A.C. was a lover of life and lived it to the fullest. 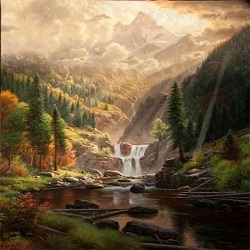 He enjoyed woodworking, fishing and hunting. He always had a smile on his face and a kind word for everyone he met. Above all, he loved and cherished his family and they loved him dearly in return. His "Big Bear Hugs" will be sorely missed. A.C. was a gift to all who knew him. A.C. was preceded in death by his father and mother, Asa and Willie Billings; his first wife of 37 years, Jessie Mae Gatlin Billings; five sisters, Oval Bedwell, Beauna McGregor, Lonuias Armstrong, Joyce Armstrong, and Orrian Billings; and one brother, Avon Billings. A.C. is survived by his wife of 27 years, Sarah Ann Nance Billings of the home; two sons and their wives, Dwaynn and Nona Billings of Hochatown, Oklahoma, Dwight and June Billings of Grannis, Arkansas; one daughter, Linda Pamplin of Hochatown, Oklahoma; one step son and wife, Jamie and Sue Cavner of Board Camp, Arkansas; one step daughter and husband, Gayle and Michael Gannon of Rogers, Arkansas; a special nephew, Asa Von Reifschneider of Clyde, Texas; thirteen grandchildren; twenty-six great grandchildren; five great-great grandchildren and a host of extended family and friends. A graveside service will be held Saturday, February 16, 2019 at 10:00 a.m. at the Grannis Cemetery with Brother Norman Ward and Pastor Doug Deramus officiating. A visitation will be held Friday, February 15, 2019 from 6:00 â€“ 8:00 p.m. at the Bowser Family Funeral Home Chapel in Mena, Arkansas. Pallbearers will be Dwaynn Billings, Dwight Billings, Asa Reifschneider, Terrell Dering, John Nance, and Jamie Cavner. Bonnie Jean Kaufman, age 91, of Hatfield, Arkansas died Tuesday, February 12, 2019 at Mena Manor. She was born on Friday, August 12, 1927 to Bervie Basil Sr. and Essie Fraser Brewer in Lakeview, Texas. 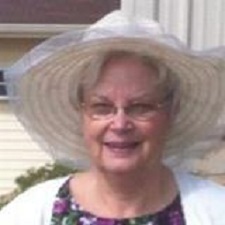 Bonnie was of the Baptist faith and was a member of First Baptist Church in Hatfield. She spent many years working as a nurse in Rockwall, Texas. Bonnie was very proud of getting her GED and learning how to swim at an older age. She enjoyed cooking and is remembered for her Thanksgiving dinners and raisin pies. She enjoyed reading and sewing. She spent a lot of time playing games and working jigsaw puzzles with her grandchildren. She loved her family and cherished every moment spent with them. Bonnie was a loving mother, grandmother, sister, aunt and a great friend and will be missed by all who knew her. She is preceded in death by her parents; her husband, Everett Kaufman; her brother, Kenneth Brewer; and three sisters, Thelma Oldham, Gwen Brewer, and Frances Graem. Bonnie is survived by son and daughter in law, Bobby and Marie Kaufman of Murphy, Texas; one daughter and son in law, Gayle and Allen Piper of Hatfield, AR; two brothers, B.B. Brewer Jr. of Burleson, Texas and Donald Brewer of Georgetown, Texas; one sister, Carol Holbrook of Springtown, Texas; seven grandchildren and spouses, Melissa Kaufman of Murphy, Texas, Jason and Ilsbeth Kaufman of Las Cruces, New Mexico, Matthew and Misty Kaufman of Wylie, Texas, Andrew Kaufman of Murphy, Texas, Michael and Darlene Piper of New Waverly, Texas, Scott and Brenda Piper of Wamego, Kansas and Todd and Samantha Piper of Greenwood, Arkansas; fifteen great grandchildren; six great-great grandchildren; several nieces and nephews and a host of other relatives and friends. A funeral service will be held on Saturday, February 16, 2019 at 2:00 P.M. at the First Baptist Church in Hatfield with Brother Paul Easter officiating. Interment will follow at the Six Mile Cemetery in Hatfield. Visitation will be general. Arrangements are entrusted to Bowser Family Funeral Home in Mena, Arkansas. Pallbearers are Jason Kaufman, Matthew Kaufman, Andrew Kaufman, Michael Piper, Scott Piper, and Todd Piper. 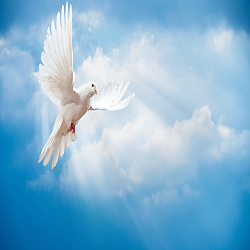 Nancy Josephine Werner age 71 of Mena, Arkansas passed Monday, February 11, 2019 in Mena, Arkansas. She was born on December 22, 1947 in Danville, Illinois to the late William Wesley Doney and Betty Josephine Camp Doney. She worked as a Registered Nurse in the Medical profession. Nancy was married to David Werner. Nancy had a servant’s heart and loved to help people. She was an avid reader and enjoyed sewing. Above all she dearly loved God and her family and friends. She was a loving wife, mother, grandmother, sister, and friend to all who knew her. Brother: William “Bill” Doney and wife Dede of Oakwood, Illinois. She was preceded in death by her parents, sister Marilyn Cushman and a niece Michelle Doney. Funeral service will be Saturday, February 16, 2019, at 11:00 a.m. at Cherry Hill Methodist Church in Cherry Hill with Pastor Debbie Head and Reverend Darryl Hines officiating. Interment will follow in the Cherry Hill Cemetery under the direction of the Beasley Wood Funeral Home of Mena. Visitation will be Friday, February 15, 2019 from 6:00-8:00 p.m. at Beasley Wood. To send flowers or a memorial gift to the family of Nancy Josephine Werner please visit our Sympathy Store. Richard Roland Bistrican, age 84, of Mena, Arkansas died Saturday, February 9, 2019 at the St. Vincent Hospital in Hot Springs. He was born on Thursday, March 15, 1934 to Joseph Martin and Mary Petak Bistrican in East Chicago, Illinois. Richard was of the Catholic faith and a member of the St. Agnes Catholic Church in Mena. 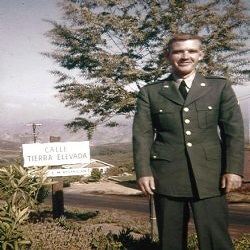 He served proudly in the United States Army. Richard liked to watch television mysteries and his favorite team, Notre Dame, play football. His family filled him with joy and was always the most important people in his life. Richard was a loving brother, uncle and a great friend and will be missed by all who knew him. He is preceded in death by his parents; four brothers, Wendell, Stanley, Joe, and Tom Bistrican; and four sisters, Mary Talarek, Dorothy Davis, Margaret Isaac, and Teresa Mears. Richard is survived by one sister, Bettie Anderson of Scottsdale, Arizona; four generations of nieces and nephews and a host of other relatives and friends. A funeral mass will be held Tuesday, February 12, 2019 at the St. Agnes Catholic Church following the rosary service beginning at 10:00 A.M. with celebrant, Father Joseph Shantiraj. Interment will follow at the Mt. Calvary Cemetery. Arrangements are entrusted to Bowser Family Funeral Home in Mena, Arkansas. Pallbearers will be Roy Anderle, Tom Brough, Phillip Ferrance, John Golding, Larry Lamia, and Mick Riley. In lieu of flowers, memorial contributions can be made to the St. Vincent Hospice in Hot Springs or the Cancer Society. 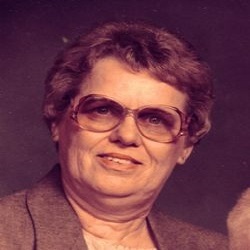 Jessie Ella Cassell age 81, formerly of Mena, passed away Thursday, February 07 , 2019 in Clarion, Iowa. Jessie was born on February 28, 1937 to the late W.S. Peek and the late Ivy Dora Hughes Peek in the Township of Cedar and the County of Polk. Jessie was of the Baptist faith. She spent most of her life in Mena, where she was a cook at Joe’s Steakhouse Restaurant and the Harvey House Inn Restaurant and as a housewife. Jessie loved to watch TV, listening to country music, setting on the porch, and being around her family. She was a loving mother, grandmother, great-grandmother, sister, aunt, and friend to all who knew her. She will be dearly missed. Host of nieces, nephews and friends. Jessie is preceded in death by her parents, her late husband Morris Thomas and s sister, Johnnie Roberts. Graveside service will be Wednesday, February 13, 2019 at 10:00 a.m. at Board Camp Cemetery in Board Camp, Arkansas with Brother Donnie Jewell officiating under the direction of the Beasley Wood Funeral Home of Mena. To send flowers or a memorial gift to the family of Jessie Ella Cassell please visit our Sympathy Store. 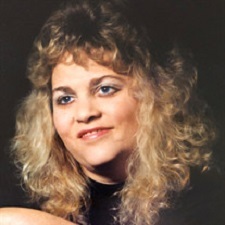 Robin Lynn Krebbs age 58 left this life Thursday, February 7, 2019 in Fort Smith, Arkansas. Robin was born on August 04,1960 in Lubbock, Texas to Charles and Junita Winfield Krebbs. Robin graduated from Shallowater High where he was a member of the football team. After graduating he worked for a private contractor mowing highway right of ways until he joined his family in Hatfield. Once there he began working with his brother Richard on the family ranch. Robin worked for several different people in the Hatfield area. The past few years he was a caregiver for his mother. Robin had a kind, gentle spirit. Even though he was a quiet individual, he loved his family greatly. Robin was a new Christian, as he had recently accepted Jesus as his Savior. Host of cousins and friends. He was preceded in death by his brother Richard Krebbs, maternal grandfather Joe Winfield, and maternal grandmother Rose Winfield. Mr. Krebbs was sent for cremation under the direction of Beasley Wood Funeral Home of Mena. Memorial service will be planned at a later date. To send flowers or a memorial gift to the family of Robin Lynn Krebbs please visit our Sympathy Store. 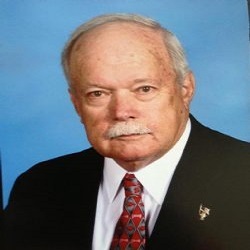 Charles Vardale Garrison, age 79, of Wickes, Arkansas died Thursday, February 7, 2019 at the National Park Medical Center in Hot Springs. He was born on Friday, October 6, 1939 to John Henry and Sara Mae Garrison in Umpire, Arkansas. Charles lived a simple life full of family and friends. He worked for Tyson at the Hatchery in Wickes for over 20 years and attended the Pentecostal Church of God. His family was very important to him and he loved spending time with his grandchildren. Charles liked to garden and was always giving away vegetables to others. He enjoyed hunting for deer and raccoons and trotline fishing for catfish. Charles was a loving father, grandfather, uncle and a great friend and will be missed by all who knew him. He is preceded in death by his parents; his wife, Shirley Garrison; one brother, Doyle Garrison; and three sisters, Betty Thomas, Nodene Parnell, and Geraldine Watts. Charles is survived by one daughter and son in law, Charlene and James Bailey of Cove; one stepson, Dewayne Oglesby of Wickes; two stepdaughters, Cindy McKee of Wickes, and Kim Wilson, and husband Howard, of Wickes; three grandchildren, Jessie Bailey, Shelby Bailey, and Troy Bailey of Cove; two step grandchildren, Justin Simmons of Wickes, and Klinton Wilson of Wickes; several nieces and nephews and a host of other relatives and friends. A funeral service will be held Monday, February 11, 2019 at 10:00 AM at the Pentecostal Church of God in Wickes, Arkansas, with Brother Chris Burke officiating. Interment will follow at the Crystal Hill Cemetery in Wickes. A visitation will be held Sunday, February 10, 2019 from 2:00 - 4:00 PM at the Bowser Family Funeral Home Chapel in Mena, Arkansas. Pallbearers will be Terry Thomas, Travis Garrison, Michael Parnell, James Squires, Steve Bradley, and Jasper Hartley. 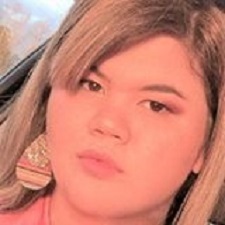 Rachel Rada-Mae Norman age 19 of Wickes, Arkansas passed away Sunday, February 3, 2019 in Umpire, Arkansas. Rachel was born on December 22, 1999 in Texarkana, Texas to Tim Norman and Krystel Merworth Norman. Rachel was a student at Rich Mountain School of Cosmetology and also worked at the Chopping Block Restaurant in Mena. She was a very outgoing young lady who enjoyed spending time with friends, singing, shopping and listening to music. Rachel was a cheerleader at Cossatot River Highschool and was also a talented public speaker, winning awards in FCCLA for her exceptional speaking skills. Rachel was a member of the Wickes Church of Nazarene Teen group helping with Vacation Bible School and other church projects. Most of all she loved to laugh and make people laugh. She was a loving daughter, granddaughter, sister, aunt and friend to all who knew and loved her. She will be dearly missed. A host of aunts, uncles, cousins and friends too numerous to mention. She was preceded in death by grandparents and great grandparents, Rocky Norman, Alton Norman, Avo Hubbard, Sam Hubbard, Glen Merworth, Hildred Gray, Hawley Merworth, Rada Merworth, John Briggs and Pearlie Mae Briggs, and her aunt Amanda Merworth. Funeral service will be Saturday, February 9, 2019 at 1:00 p.m. at Wickes Elementary Auditorium in Wickes with Pastor B.J. Jenkins and Brother Thomas Jenkins officiating under the direction of the Beasley Wood Funeral Home of Mena. Visitation will be Friday, February 8, 2019 from 5:00-7:00 p.m. at Beasley Wood. Pallbearers will be Bryle Fatheree, Clyde Fatheree, Adam Shores, Alex Jenkins, Austin Lyle, Bailey Wise, Ethan Griffin, and Jonathon Rye. To send flowers or a memorial gift to the family of Rachel Rada-Mae Norman please visit our Sympathy Store. Jeffrey Scott Bass age 53 of Mena, Arkansas passed away Friday, February 1, 2019 in Mena, Arkansas. Jefferey was born on November 10, 1965 in Santa Anna, California to the late Williamson Glenn Bass and the late Betty McCauley Bass. He worked in Quality Control as an inspector at Nidec. He loved fast boats, cars and watching Nascar. He loved to visit Lake Bridgeport in Texas. Jefferey loved to cook for family and friends. He was a loving father, brother, uncle and friend to all who knew him. He will be dearly missed by all. He was preceded in death by his parents, and a brother Randy Bass of Bridgeport, Texas. Mr. Bass was sent for cremation under the direction of the Beasley Wood Funeral Home of Mena. Memorial service will be Wednesday, February 6, 2019, 2:00 p.m. at Faith Missionary Baptist Church with Brother Tim Harper officiating under the direction of Beasley Wood Funeral Home of Mena. 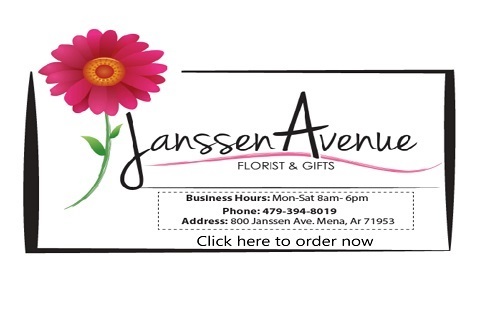 To send flowers or a memorial gift to the family of Jeffery Bass please visit our Sympathy Store. Chris was born on June 28, 1997 in Vineland, New Jersey to Cynthia Mclellan. Chris had many talents and enjoyed doing different things in his life. In Mena High School he played the tuba in the band. 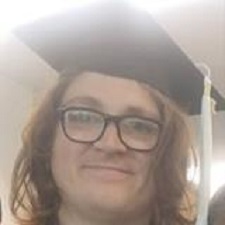 He graduated with honors from ACTI in Business and gave the graduation speech. Chris was going to start work in retail. He enjoyed playing video games with his brother. Chris also played and was a skilled Dungeon Master of Dungeons and Dragons. He enjoyed listening to music and loved writing poetry. He loved watching Dr. Who. Above all he was loyal, devoted, and he loved his family, especially his niece and nephews. He was a resilient young man and was successfully making his way through life dealing with Autism and Mental Illness. He was a beloved son, brother, uncle, and boyfriend. He will be dearly missed by all who knew and loved him. He was preceded in death by his grandfather, Reverend Howard Gideon Broadwater, Jr.
Funeral service will be Wednesday, February 6, 2019 at 10:00 a.m. at Beasley Wood Chapel with Brother Ron Tilley officiating. Interment will follow in the Gann Cemetery under the direction of the Beasley Wood Funeral Home of Mena. There will be a reception at First Baptist Church after the services have concluded. 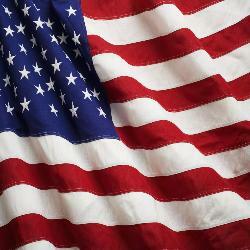 Pallbearers will be Charles Ford, Jared Sweeten, Joshua Mclellan, Jesse Sherrouse, Kyle Hansel, and Shane Harder. Honorary pallbearers will be Alexander Sherrouse, Jacob Harder, and Joseph Mclellan. Glenn Ronald Stanfill, age 83, of Mena, formally of Waldron, died Thursday, January 31, 2019 at John L. McClellan Memorial Hospital in Little Rock. He was born on Thursday, March 14, 1935 to Lee Roy and Ada Madeline James Stanfill in Flint, Michigan. Glenn served in the United States Navy from November 1952 to September 1954 and was Honorably Discharged. Upon leaving the service, Glenn performed a number of entrepreneurships. His favorite included being a ski instructor and owning his own ski shop. Glenn loved his family and spending time with his children and grandchildren; but he had a special place in his heart for his dogs. Glenn was a member of the VFW and the Elks Lodge. Glenn was a loving husband, father, grandfather, brother, uncle and a great friend who will be missed by all who knew him. He is preceded in death by his parents; one son, Russell Rogers of Waldron; three brothers and one sister. Glenn is survived by his wife, Donna Stanfill of Mena; four daughters and sons in law, Tanya and Mark Fretz of Mena, Stacy and Bill Bassamore of Minnesota, Jana and Wayne Owens of Texas and Jill and James Navarre of Michigan; two brothers, Elmer and Dale Stanfill both of Michigan; two local grandchildren, Talyssa Fretz Simmons of Prairie Grove, Arkansas and Chandler Fretz of Mena; several nieces and nephews and a host of other relatives and friends. A private memorial service will be held at a later date with cremation services entrusted to Bowser Family Funeral Home in Mena. 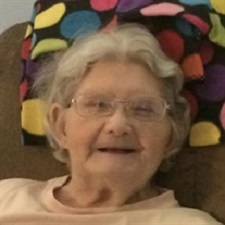 Jessie Mae Powell Winfield age 91, of DeQueen formerly of Wickes, Arkansas passed away Thursday, January 31, 2019 in DeQueen, Arkansas. Jessie was born on March 21, 1927 in Foss, Oklahoma to the late Arlie Franklin Powell and the late Leola Towery Powell. She married the love her life Harold Othell Winfield on December 24, 1942. During the war she welded on big ships. Jessie worked for Renova Shirt factory for 15 years and then as cashier for Alltel until her retirement. Jessie also worked on various jobs including raising cattle and chickens as well as being a talented seamstress. She was very well known for her exceptional cooking and baking skills. She was a member of the Wickes Nazarene Church where she served as treasurer, board member and taught Sunday School for many years. In 1994, Mrs. Jessie won second place in Regional Spelling Bee contest for Seniors and went on in 1996 to win third place in the State Senior Spelling Bee. Above all she loved God and her family and was proud of them. She was a loving and kind mother, grandmother, great-grandmother, great-great-grandmother, and friend to all who knew her. 27 Great Grandchildren and 2 Great Great Grandchildren. She was preceded in death by her parents, her husband Harold Othell Winfield, her siblings J. C. Powell, Troy Powell, Jerry Powell, Margie Pennington, Pat Walthall, her sisters-in-law Joy Powell, Lonnie Walthall and Eulas Peters. Funeral service will be Monday, February 4, 2019 at 2:00 p.m. at the Wickes Church of the Nazarene with Reverend David Baker, Reverend B.J. Jenkins and Reverend Leon McCleskey officiating. Interment will follow in the Crystal Hill Cemetery under the direction of the Beasley-Wood Funeral Home. Family and friends visitation will be Sunday, February 03, 2019, 6-8 at Beasley Wood. Pallbearers will be Ty Sullivan, John Sullivan, Elijah Sullivan, Harold Loyd, Jeff Brotherton, Craig Wurtz, Jack Smith and Larry Pennington. Honorary pallbearers will be Brent Gentry, Jason Risner, Leon Loyd, Gary Winfield and Jared Loyd. The family would like to express their gratitude to the staff of Encompass Hospice for the wonderful care they provided for their mother. To send flowers or a memorial gift to the family of Jessie Mae Powell Winfield please visit our Sympathy Store.